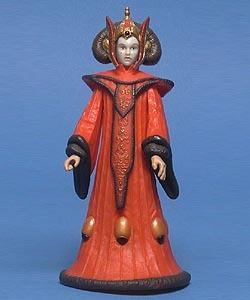 Comments: Queen Amidala is a skilled leader who is committed to maintaining her people's way of life. She is a peaceful leader who always looks for the solution that requires the least amount of military action. Although she has been trained most of her life to enter into a leadership role, the Trade Federation blockade and certain invasion will put her skills to the ultimate test.